A grocery guide to help you shop for the ingredients to make the Chickpea Chicken Curry recipe from the Millennial Menu. How this guide works: Ingredients are broken down into approximate location in the grocery store, by order that you'd usually purchase them (starting in produce & deli, then over to dry goods). There is also a cost of ingredients scale ranging from $ (very cheap) to $$$$ (extremely expensive - I'm not sure any of my recipes even have an ingredient like this yet). 2 cups of spinach (buy a bag of spinach) $$ A ton of spinach cooks down to nothing, so you'll definietly want to purchase the whole bag. Super easy to use up in salads, soup, on your eggs in the morning. Or just throw the whole bag in the curry - you won't be mad you did. Substitute: Anything green or another veggie - you can get creative with this. I've made it with both swiss chard and kale! 1 rotisserie chicken (you will need about 1 cup of shredded chicken from this) $ Millennial Fridge/Freezer Staple I buy one of these a week and always have shredded rotisserie chicken in my fridge or freezer. It's perfect for throwing in quick meals like this one and keeping this healthy and protein-packed. Head to 7 Reasons You Should Always Have a Rotisserie Chicken In Your Fridge for a buying guide. Substitute: 1 chicken breast, cooked and shredded. one 15.5 oz. can of chickpeas $ Millennial Pantry Staple Chickpeas are an easy addition to any meal - into salads or soups, mashed into egg salad, etc. Protein, protein, protein! If you're doing this vegetarian version, you can use a whole can instead of just half. 1/2 cup cooked grain of choice Optional $ Millennial Pantry Staple I always add 1/2 cup cooked farro to this recipe, but you can add any grain you'd like to add some energy-sustaining carbs in there. Check out this guide for where to start. 1 teaspoon curry powder $$ Millennial Pantry Staple A simple curry powder can bring a lot to a dish. Pro-Tip: They also make curry powder in smaller mini spice containers if you don't want to buy a larger tube. I love adding curry powder to my chicken salad and throwing in raisins and celery for a sweet, spicy sandwich. 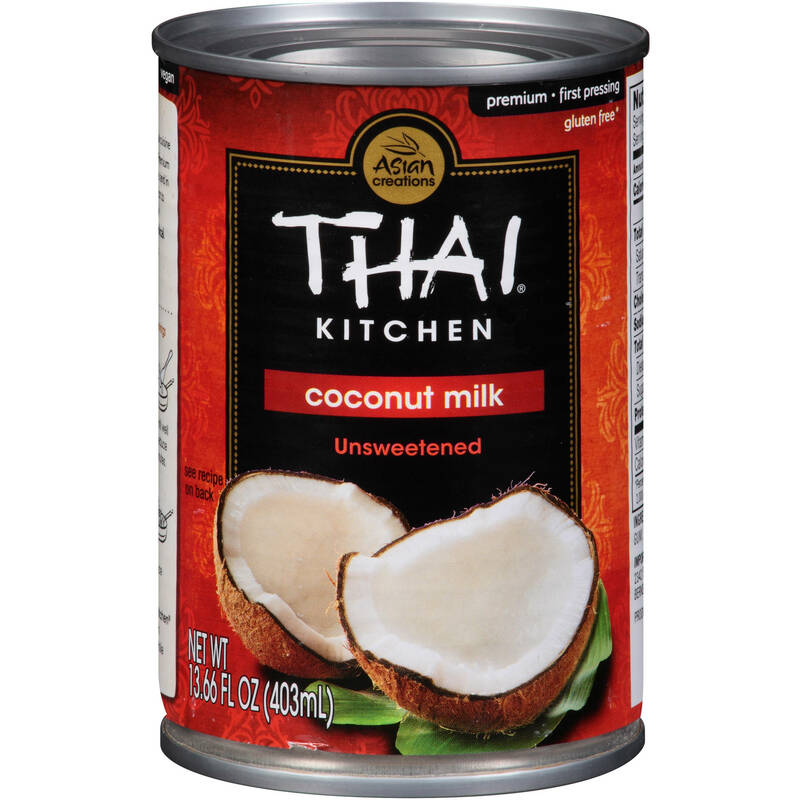 1 can coconut milk $$ Millennial Pantry Staple Make sure to buy unsweetened. You can buy "Lite" if you'd like. I've always just bought whatever brand I can find, so don't worry too much about looking for a certain brand. Coconut milk adds sweetness to a dish without making it sickly. I like it in rice or as a marinade for salmon or chicken.